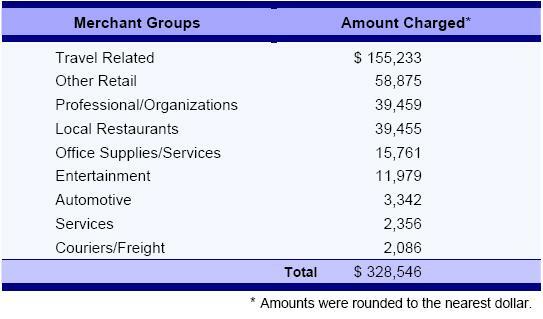 The mayor requested this audit in June 2006 due to concerns that the city's corporate credit card had been mismanaged. Although the financial exposure for this account was small, lack of controls put the city at risk for inappropriate charges and misuse. A lack of controls contributed to mismanagement and potential misuse. Mismanagement resulted in fees and finance charges - payments were for charges rather than balances, and payments were often made late. The credit card account offers flexibility but lacks controls - the card is similar to a consumer credit card with no purchasing restrictions. We recommended that the Department of Finance change to an account more appropriate for the city's needs that blocks high-risk merchant categories and prohibits cash advances. Additionally we recommended stricter management controls over the account and the cardholders.